This knob has a short reach-back section that fits into the cabinet hole. Colors vary from brownish to reddish with various colors swirled within. 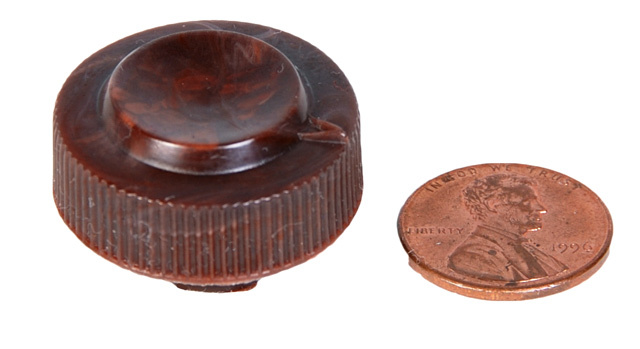 Dimensions: knob 7/8" tall, 1" diameter, total height with reach-back is 3/4"